Choosing travel backpacks is the most crucial part of traveling, as it can literally make or break a trip. Ever made the wrong choice with a bag? I have, and it resulted in miserable days with bad back pain and more effort in carrying my things than it ever should have been. 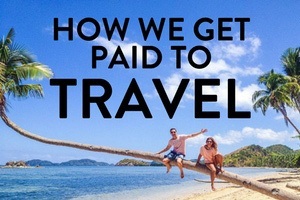 Whatever type of travel that you are doing, time should be put into really thinking about what you will need. What size bag will be best for the trip? Will you need padded straps or a sturdy frame? All these questions should be addressed before you make your choice because at the end of the day, a bag is an investment and putting extra thought to your purchase is something we highly recommend. 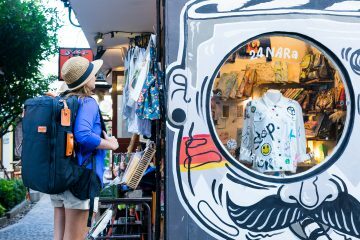 To help you make the right choice for you, we’ve put together a list of our personal recommendations of the best travel backpacks for traveling the world. First things first, how do you choose the best travel backpack? Here are a few tips to help you choose the right backpack for you. As mentioned previously, the size of your pack will help you determine which one to buy. Some opt to travel with large backpacks so they can fit in things like camping gear and items for cooking. While most people think the length of your trip would help you choose the right size, this is something I disagree with. Choosing the size of backpack all boils down to what you will be comfortable carrying. 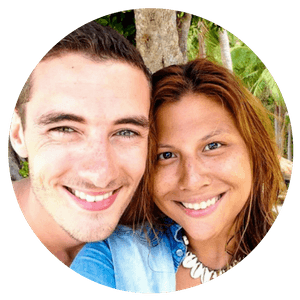 I traveled Southeast Asia with a small 40L bag for months at a time and had no trouble finding things to wear. If you want to keep things to a bare minimum, take a smaller bag. You will be less tempted to bring a lot of items with yu given the weight limitation. A lot of backpacks now encourage you to order bags which would correspond to your exact weight and height. Good backpacks don’t come as a one-size-fits-all kind of thing. Instead, take the time to measure your torso, your height, and take this all into consideration when choosing what size to take with you. While each bag manufacturer has a general size that they stick to, we tend to always look at Osprey’s sizing chart are they are very similar to others. Use this comprehensive sizing info to help you select the right backpack for you. If you’re looking at backpacks with large external frames, quickly exit that browser and never look at it again! The best backpacks now made up of lightweight internal frames, specially designed to make things easier. 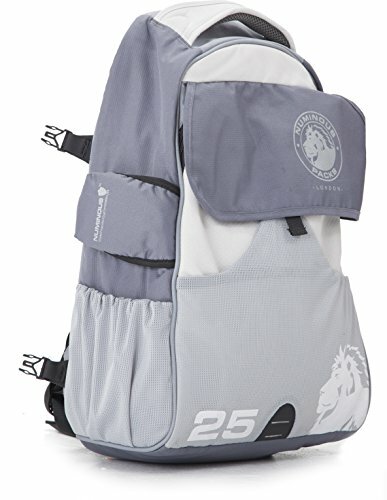 While I have used a couple of backpacks with no frames, I also recommend against it as they usually end us causing a lot of back pain, especially if you are carrying your pack for long periods of time. Most daypacks don’t have any type of frames which is fine as you tend to keep the weight of your daypack to a bare minimum. Another important feature to consider when selecting travel backpacks is looking for material durability. Although backpacks seem like an expensive purchase, if you choose the right one, they will usually last you a long time. My very first REI backpack lasted be ages until I decided to finally replace it. Good quality backpacks dries up very quickly and should be somewhat water resistant. While you won’t necessarily need a fully waterproof backpack as that’s what rain covers are for, a good bag should keep your stuff dry during light rain and other harsh weather conditions. Considering HOW your bag opens is a huge part of bag selection. For me, top load backpacks are a pain as you will have to take out all your things and empty your bag every time you need something. While packing cubes solve this predicament, the best solution is to consider getting a bag that is front loading. This to me makes all the difference as I like being able to access things quickly without having to remove everything that I have. I am one of those people that love having multiple compartments as I feel they help me organize my bag in an efficient way. I like backpacks with water bottle holders, side pockets, and for people who travel with a lot of electronics, having built-in laptop holders and sleeves also come in handy. Think of what you will be bringing with you and consider this when looking at different bags. Buying and selecting a good backpack is like choosing a travel companion. You guys are hitched (for a good period of time) so make sure you select one that fits YOU. I highly recommend against borrowing backpacks as the comfort of carrying these bags highly rely on how they fit you. Measuring your height and weight and choosing which size to get is something that we highly recommend you take the time to do. While the capacity of backpacks don’t change, they often come in various sizes (extra small/small, medium, large, etc.) When it comes to backpacks, your torso length matters more than your height. Get a tape measure and measure from the base of your neck to your hip bones. Obviously, there are great travel backpacks out there that are unisex but we highly recommend female specific bags. Designed with a woman’s body in mind, these bags will fit snugly around your body whether you are short or tall or with wide or slim hips. Many of the bags generally have a narrower yolk for our torso which ensures maximum comfort and equal weight distribution when the straps are joined. The Osprey Sirrus 50 backpack is a popular choice – and for good reason. It is lightweight, versatile, and has a top quality ventilated back system to increase comfort in warm weather. 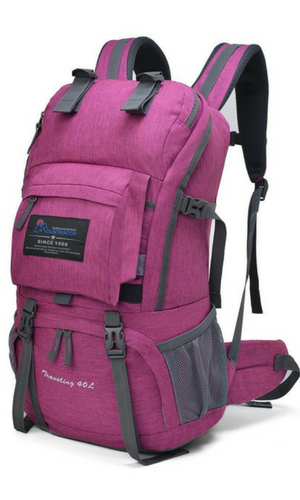 At 50 liters, this bag is suitable as a travel backpack but is mostly favored among women who are avid hikers and campers. 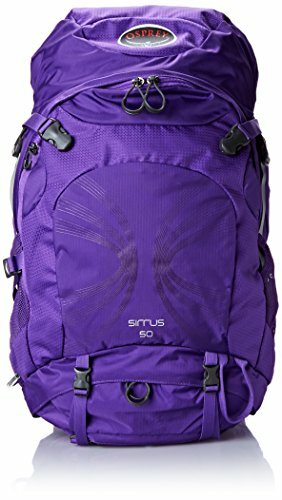 Similar to most of the Osprey female backpack line, the Sirrus 50 is designed to mold to the female back. Before you even buy the product, your height and torso will be measured to give you the most accurate sized bag. Once you have the product, you can then adjust the shoulder, hip and chest straps to fit you perfectly. AirSpeed Suspension: proper ventilation is crucial for comfort, especially when you’re spending long hours hiking in warm climates and carrying a heavy load. Women Specific Fit: ergonomically shaped hip belt, harness, yoke, and backpanel, help with weight distribution and therefore comfort. Compartments: the removable top pocket, rain cover and sleeping bag compartment are perfect for all the equipment you may need for camping. The side of the pack also has a single vertical zip, allowing direct access into the main compartment without having to open the lid top. If you’re reverting to carry-on-traveling only, or like to take weekend backpacking trips, the Kelty Catalyst 46 backpack will be perfect for you. A favorite among female travelers, don’t be surprised if this bag is sold in some websites. A small to medium backpack that is big enough to hold everything you need, you would think there is a secret to its magic, but there’s not. The only trick is well thought out and quality features! With a lined interior pocket, a front storage pocket, trekking pole loops, stretch mesh belt pockets and water bottle pockets, let’s just say there is no shortage to where you can store your things and they are super easy to get to. PerfectFIT Suspension System: accurate on-body size adjustment to customize your fit. This bag says one size fits all and it means it! Load Lifter Straps: these relieve stress on your shoulders. Adjustable Sternum Strap: these prevent chafing under the arms and on the shoulders which you’ll be thankful for when hiking or wearing the bag for long periods! 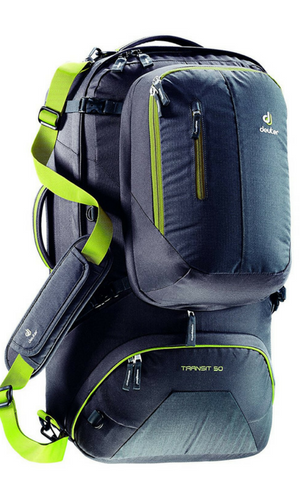 The ultimate backpack for the active traveler, this bag is at its best if you’re an avid skier, mountaineer, hiker or climber. The sleek Deuter ACT Lite 35+10 is an incredibly lightweight backpack, yet it offers the potential to carry additional gear. With features such as the padded hip belt and pocket, the stretch side pockets, the lid pocket and bottom compartment, the whole design of this bag is focused on optimal load placement whatever the weight being carried. Lid Pocket and Adjustable Lid: this provides additional space if needed. Vari Quick System: for easy adjustment to any back length. Other than the specific design for a typical woman’s body, there is not much difference between the women’s and the men’s backpacks. Men’s backpacks are often slightly bigger and wider but carry a similar capacity. For men, the most important thing when choosing a backpack is going for the right size. Men can usually get away with carrying less stuff so take that into consideration. Just because you can easily carry 70L backpacks, it doesn’t mean you should! AntiGravity 3D Suspended Mesh Backpanel/Hipbelt: this creates a continuous ventilation and provides excellent load-carrying. Stow-on-the-Go Attachments: perfect for carrying trekking poles to cycling helmets. Fit-on-the-Fly Hipbelt: makes a backpack feel empty even when you’re carrying a full pack of kit! Similar to the Atmos 50, the Exos 48 has all the load-carrying and ventilation advantages that Osprey backpacks are known for but at a weight of just over 1kg. You heard me, Osprey mean lightweight when they say it! 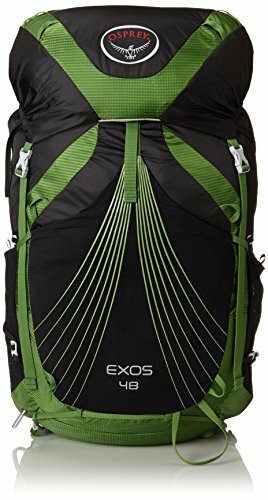 Although an amazingly light pack, the Exos 48 doesn’t sacrifice any other qualities; it still has a high load capacity and provides ultimate comfort. ExoForm™ Harness and Hipbelt: ensures a comfortable and stable fit. AirSpeed™ backpanel: provides adequate ventilation and a stable load-carrying platform. U-shaped Zip – allows full access to the main compartment of the bag. Separate Bottom Compartment – perfect for bulkier items such as shoes or a sleeping bag. Apart from your big backpacks, carrying smaller day packs is a great way to always keep your valuables close. When I get on long bus rides, my larger backpacks usually contain all my clothes and travel gear while my daypack carries all my electronics and valuables. I pretty much have my daypack with me all the time! While some settle for smaller carry-on sized daypacks, others also opt for slightly larger ones which they use as their main bag. Here are a few of our top picks for daypacks! If you are a digital nomad or are prone to carrying a lot of electronics with you, you will need a daypack like Numinous Packs to keep them safe. Created by travelers, for travelers, these quality backpacks which have amazing security features will give any traveler peace of mind. For a lover of city breaks and weekends away, I needed a light daypack that could carry everything that I needed. 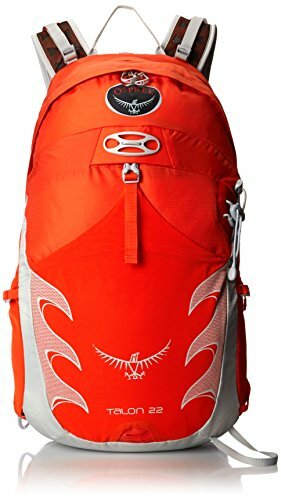 Enter, Osprey Hiking Packs! The female Tempest 20 and male equivalent, Talon 22, are perfectly lightweight, all-rounder day packs. Again the female version has unique features such as a shaped harness and a narrower yoke to take our different body shapes into account. 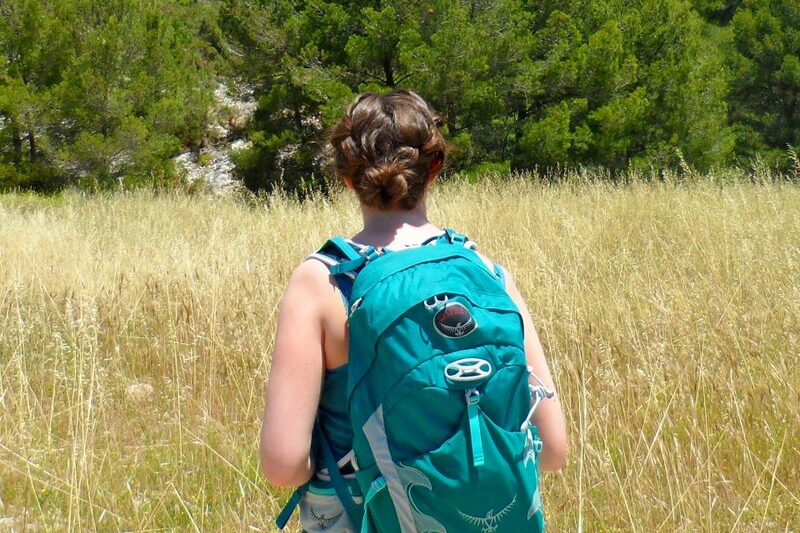 Read: Osprey Hiking Packs Review: Are They Really Everyday Bags? 6 Adjustable Straps – you can use these to carry your sleeping bag, mat, hammock, tripod etc. Zippered Access – to the main compartment. Multiple Pockets – 2 front pockets, 1 hidden pouch, 2 mesh pockets and a main compartment with a sleeve to separate your items. 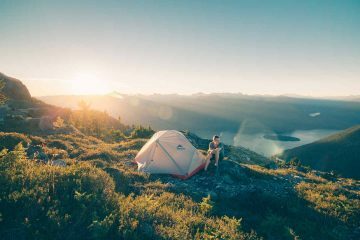 Hopefully, these tips and recommendations will help you select the best travel backpack for your trip. Remember, the lighter the better! 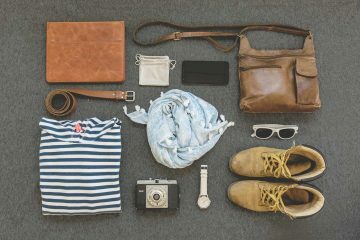 If you need tips on packing, check out a few of our destination-specific guides which come with a complete packing list on what to bring! Good luck and happy backpack shopping. I am not a backpacker (already 68) but, wow, there are so many options! I love my Osprey backpack! I’ve used it on a lot of weekend trips and have been able to pack it with a lot but still travel comfortably. The shoulder straps are really well padded! A quality pack with good weight distribution goes a long way. We backpacked through Thailand last December and it was amazing how good of a job our packs did in holding all our stuff and still wearing well. Wow, who knew there was so much to consider when choosing a backpack? Interesting read. 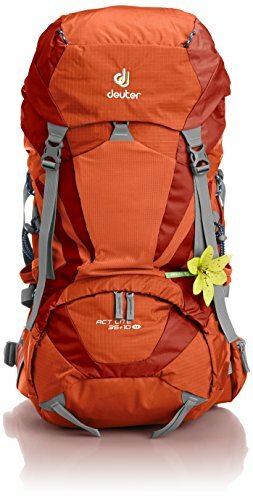 I prefer the Deuter ACT Lite 35+10 one but I would base it solely on which one I found to be most attractive and how the pockets would hold my stuff. Looks very practical. They seem to have been designed well for travel. 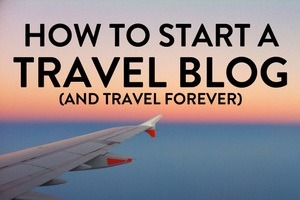 I am on a traveling spree these days and was always wanting something more easy to take along. Thanks for these choices. This post couldn’t have come in better time. I’m planning a trip to Indo and since I’m bringing a board bag, I’m researching on the best backpaks. 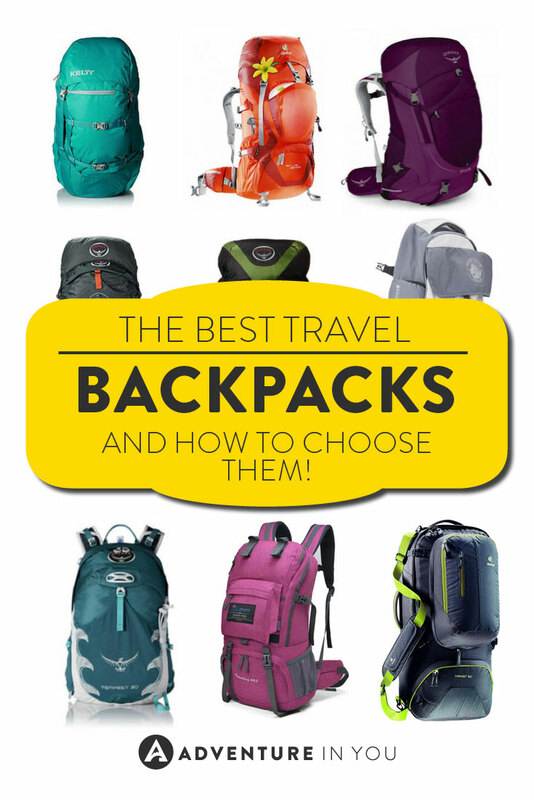 Loved your tips in the end on how to choose the best backpack. 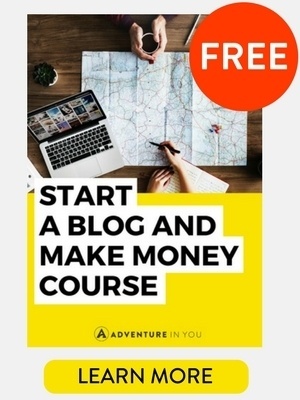 Couldn’t agree more with some of the essentials you have to look for. These are very nice looking bags. Tell me, when you travel by plane or are not backpacking, do you still use one of these for your only bag? I’m not a backpacker, but these bags look like they’re more lightweight and more flexible than your typical carry-on sized suitcase. I travel with a backpack full time…and this year, I’ve vowed to stick to just a carry on bag. They are pretty light weight and super flexible! Great post and loving the look and detail of these backpacks but are there any similiar for men?